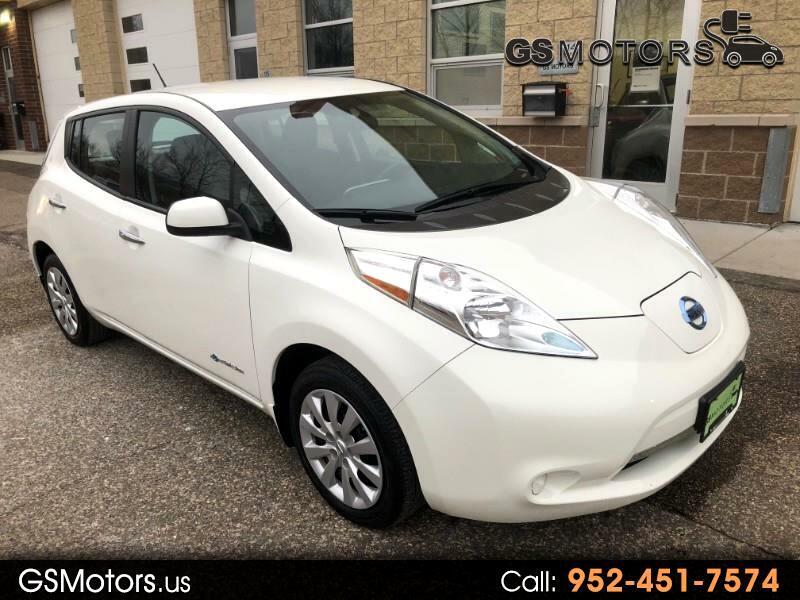 This is a ONE-OWNER super nice electric 2015 Nissan Leaf S with clean carfax history!!! Car is amazing! Looks and runs perfect! Zero Emission vehicle! Warranty start date 11/01/2015. Battery life 12 bars! Loaded with Quick charge package, rear view camera, cruise control, climate control, heated front and rear seats, 6.6 kW on board charger, heated steering wheel, intelligent key, Bluetooth, steering wheel radio controls and a lot more!!!! Level 1 charging cord comes with this car which means you can charge it from regular 120V grounded outlet. Visit GS Motors online at gsmotors.us to see more pictures of this vehicle or call us at 952-451-7574 today to schedule your test drive.